Does Bob have what it takes to unravel the catastrophic plots about to unfold and match wits with players in the arena of worldwide weapons trafficking and unthinkable acts of terrorism? He's in a race against time to foil a series of terrorist plots for causing monumental destruction hatched by the nation's enemies. 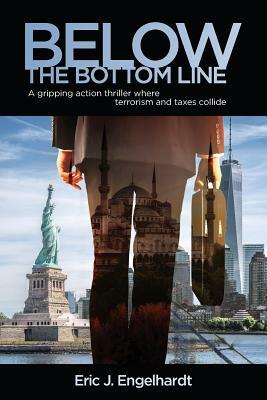 If you like fast-paced, high-octane adventure, you'll love the twists and turns in this suspenseful action novel starring the new smart-witted and life-loving everyman hero, "tax man" Bob Stone. Everything's going to hell in Bob's personal life due to his poor choices and their far-reaching ripple effects. This may be his last chance at redemption. Along the way, he is looking to find a plate of good pasta for lunch and an authentic Middle Eastern dinner.